Why time management skills are important in your career? Ever wondered what is the importance of time management skills in your career? We’ll tell you. At any point in time in your life and career, keeping track of your time and achievements is crucial to maintaining growth and learning. There is no doubt that you may have many projects and meetings to attend to in any particular day and sometimes you just get lost as to how to handle all of them. It is important to schedule your day and block time slots to finish a particular task in hand. 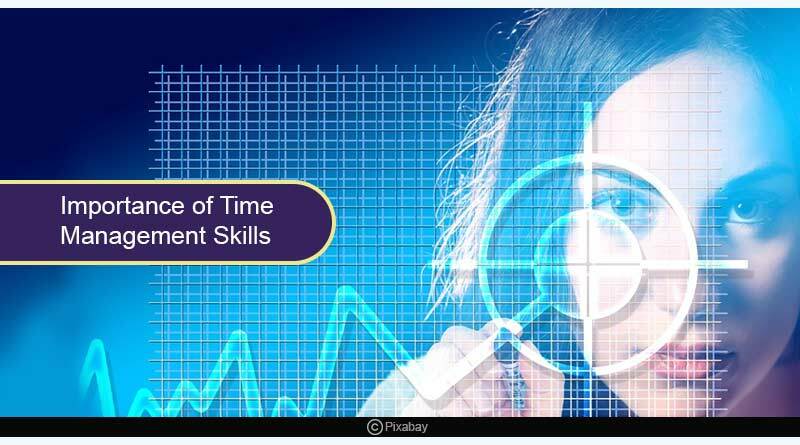 So that you have the most meaningful and rightful arch of career growth, we present you with some most important ways and reasons to understand the importance of time management skills in your career. Improves efficiency: When you learn to manage your time you are more efficient in everything that you do. You do not spend your time wondering as to what work to attend to now. But there is a catch, your time division should be practical enough so that you know how to prioritize things and as time demands you should know how to juggle between things. Reduces stress levels: When the time is not in your control, you may end up feeling rushed, overwhelmed or stressed. This makes it more difficult to analyze how much time you would need to finish the job in hand resulting in your sometimes even missing an important deadline. All this will certainly raise your stress levels and may ultimately impact your career and health. Good time management will keep you calm and composed and will result in better output. You don’t feel guilty saying NO to unproductive things anymore: When you have already allotted a chunk of your time to a particular task then you also start to understand as to how much time you are spending on it. You would be able to analyze better and learn to sometimes say No to tasks that are not important to be handled at that moment or can even be passed on to someone else. More time in hand: Gradually you will find that you have started getting more free time in hand to do other things that matter like spending time with your loved ones, investing time into a new hobby or reading a book, etc. Better opportunities lead to better growth pattern: Time management is one of the most important keys to success. When you continue to deliver your work on time and meet deadlines, you start getting noticed. The management starts to show their trust in you by assigning important and time-bound tasks. This increased exposure will surely give a boost to your career graph. We hope you would now understand the importance of time management skills in your career and shall start working on it. For more career-related tips, do Subscribe to our newsletter and follow us on Facebook, Twitter and Google+.